“I felt like a toddler facing a long driveway of puddles. I imagined Academy Place as a club at one of the top Ivy League schools, one that teaches the secrets of creativity, with the full array of handshakes, slogans, and robes. I figured alums must have been sworn to secrecy, and now the leader of the organization was furious for knowledge of it was out in public. James Cicero is an overweight, neurotic, meek, middle-aged journalist that lives with his wife Catherine and eleven-year-old daughter Alice and travels around in his rusted jalopy in the Bronx, New York. He is so self-conscious that he rehearses the delivery of jokes that he anticipates saying the following day in elevators, or the greetings he will give the workplace receptionist. James is on the brink of being fired, he can feel the tension from his editor and boss Alan Helmsley and the pressure to produce a noteworthy story. For twenty years James has worked as a senior writer for National Life magazine and with subscribers progressively-dwindling since the dawn of the internet age, job cuts may be in store and he seems like an easy, non-confrontational target. If being at the crossroads of his own career wasn’t enough, his wife Catherine was recently fired from her job three weeks prior, all the while their daughter Alice has become a nuisance for her prestigious school. At this point James has pretty much had it with life, it is safe to say that James’ life has become a perfect representation to that of his career and in both cases he is feeling the crunch and needs a catalyst for rejuvenation. While in one of his Sunday night bouts of insomnia,that he has coined “insundia” James has found the big break that he was in desperate need of. 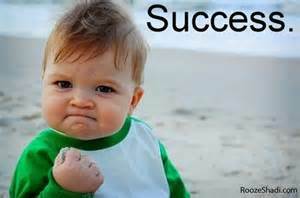 While watching a film awards show on the television that may or may not be called the Oscar’s, he heard a man during his victory speech mention an institution called The Academy Place as a big contributor to his success. Intrigued by the lack of familiarity with this state of higher learning, James spends a considerable amount of time researching this place but finds nothing but a mystery to solve. He comes to the conclusion that it is a secret school of enlightenment that must be explored and seeing that his job and in a sense his family is on the line James decides to take the plunge and unearth a story of a lifetime. 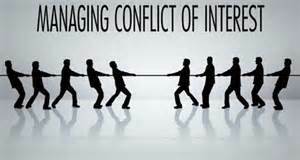 While trying to orchestrate an interview with someone that has a connection to the inside, James is turned down, lead astray, or driven to dead ends. After providing his boss with a progress report (or non-progress report) Alan uses his winning charm and imaginative pitch to get what he wants. In turn James is given a four week stay at the Academy so he can eat, breathe, and sleep at the facility to write a feature puff-piece for the magazine. Located in Central New York, tucked away in a forest of silence, the Academy enrolls eighty-four of the world’s brightest and most creative young minds in a mandatory four-year program. The school pulls out all of the stops to stimulate their students; each student is provided their own classroom, it is obligatory to learn one musical instrument, they are taught to become attentive listeners rather than note takers, and they’re provided a diet of essential vitamins and minerals for optimum performance. In their spare time the students are encouraged to develop their own languages, board games, and sports.What you find with the “real” world is that most people worry about the details while the Academy focuses more on how to solve problems, and how off-the-wall ideas create great ideas. While James is settling in and forming friendships with a group of students to fully-understand the dynamics of the Academy, his boss Alan is constantly pushing and pulling James in different directions, distracting him from writing his heavily-invested puff piece and turning it into an exposé. What we often find is that while we blame others for our own lack of success, more often than not we are the impediment standing in our own way to achievement. 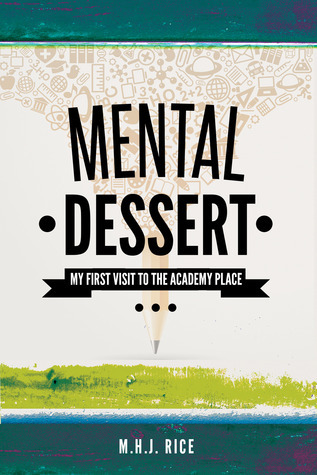 Mental Dessert is a compelling read with plenty of arguments and conversation surrounding philosophical differences. My main take away from this novel was the exploration of the shortcomings of the education system and how if utilized with the right focus, learning can be more fun than initially realized. Beyond the typical health and well-being, the goal of any parent should be to maximize the potential of their child. But between your own occupational responsibilities and up keeping of the household, the presence of time, or more importantly yourself can really be spread thin. This is where educational institutions come in to play. Sure you can select a school based on proximity, accessibility or feasibility. But why not go the extra mile so when your children are grown and become music composers, scientists, five-star athletes, or CEO’s of Fortune 500 companies you can be reimbursed properly. Or if they fail to live up to those lofty expectations you can be content with the understanding that you gave it your best effort and knowing there’s plenty of money to be earned as a tradesperson. I really enjoyed this story. There is not a lot of action, it is essentially a straightforward telling of a man’s stint in a institute of higher learning. My main gripe is the lack of character development. As ever present as some of these characters seem to be, you really are not sure of who they are and what becomes of them. There are also some things that are hinted at throughout that novel that are not addressed throughout the rest of the novel. These holes did not hold me back from thoroughly enjoying this story and I would recommend this book to anyone that enjoys a novel with plenty of interesting topics that bring about further contemplation and discussion.